A cantonment board is a civic administration body in India under control of the Ministry of Defence. The board comprises elected members besides ex-officio and nominated members as per the Cantonments Act, 2006. The term of office of a member of a board is five years. 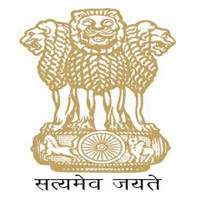 Applicants who have completed 10th / 12th or equivalent from a recognized Institute for Cantonment Board Recruitment 2019. Eligible & Interested candidates can Apply Via Online In Official website page at www.cbbakloh.org.in Cantonment Board Recruitment 2019.